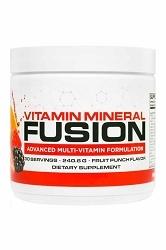 After many years of working with our leading chemists and expert formulators to bring you one of the most powerful and affordable multivitamin formulas out there, Infowars Life is now proud to announce the biggest game changer of them all. 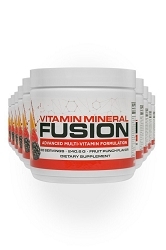 Vitamin Mineral Fusion goes above and beyond the standard of providing just basic vitamins and a few trace minerals. 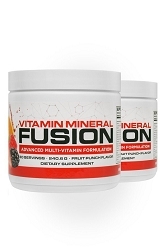 Our exclusive formula is loaded with 34 different essential vitamins, minerals, amino acids, and more. The problem with many drink mix formulas is that they oftentimes taste so bad that it's difficult to keep using them. 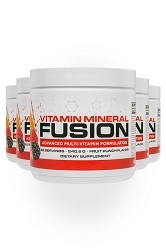 Vitamin Mineral Fusion is a truly great tasting drink mix that uses naturally occurring corn-free Xylitol to create a delicious Fruit Punch flavor that may actually help support the natural health of your teeth.